Sunday School is an opportunity to be equipped with the word of God and true Christian Community. 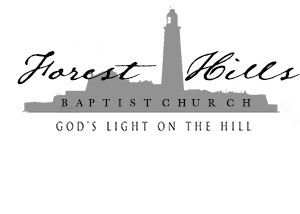 Sunday School at Forest Hills Baptist Church is before our morning worship service from 9:15 AM - 10:15 AM. Before classes start coffee and some pastries are available in our coffee room near the welcome center. You will often find people engaged in conversation and fellowship before classes start. We have a class for everyone! Here are our current Sunday School classes. You can sign up online for a Sunday School class or just stop by our Welcome Center on Sunday morning. See what classes we have available!